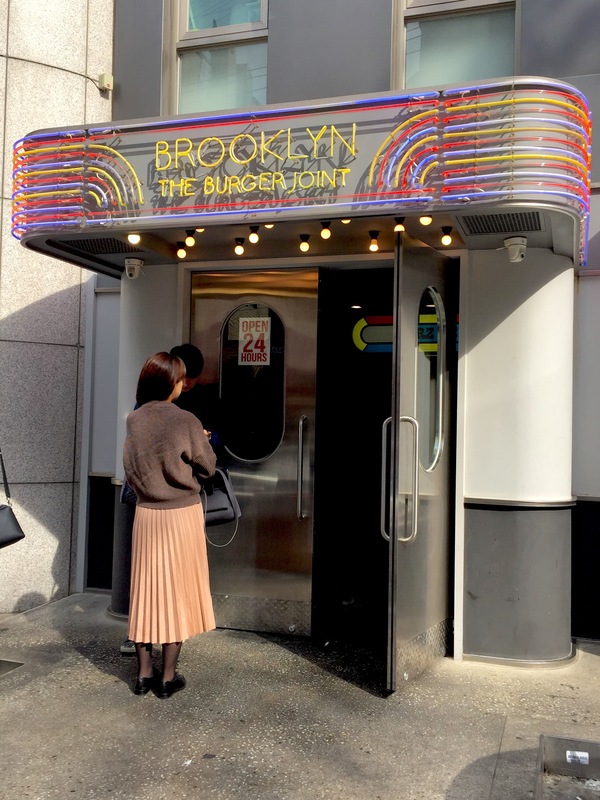 As we’ve lamented before, finding a good burger in Seoul isn’t that easy, but possible (you can read about some of our previous attempts here). 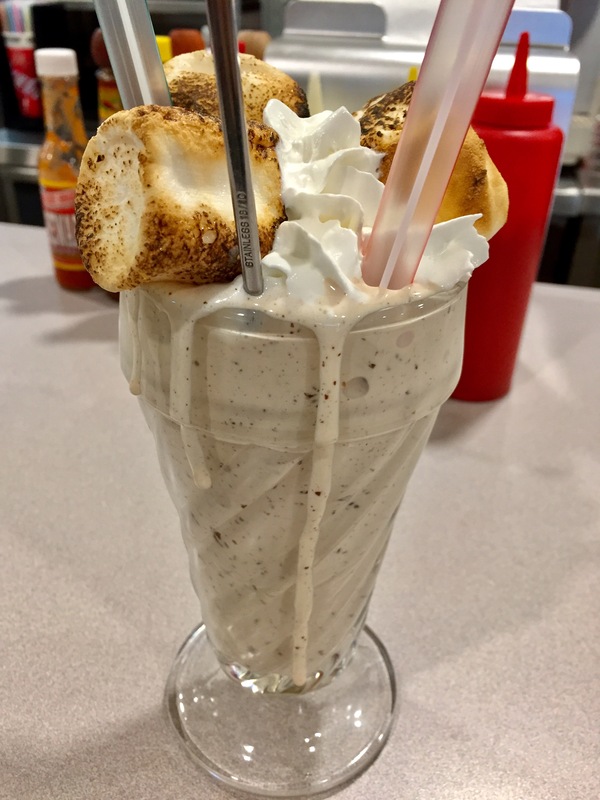 However, you won’t be disappointed when you go to Brooklyn’s Burger Joint and bite into that juicy burger and then wash it down with a calorie infused milkshake. I am certain that you will be in your happy place. 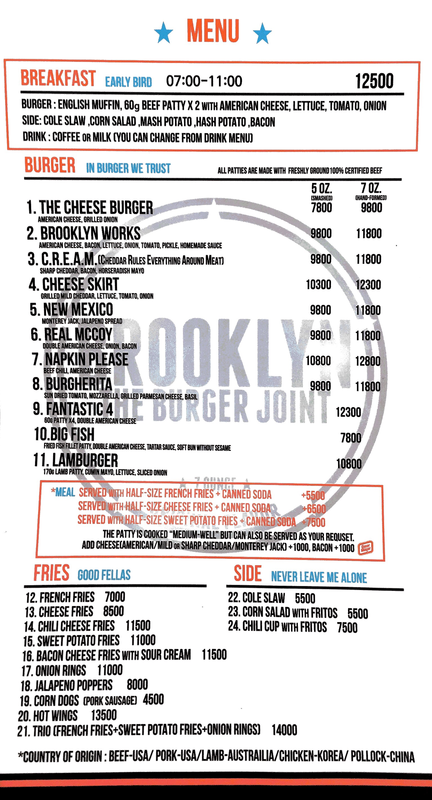 Brooklyn the Burger Joint has a few locations scattered throughout Seoul, but the one that we stopped by was in Gangnam. 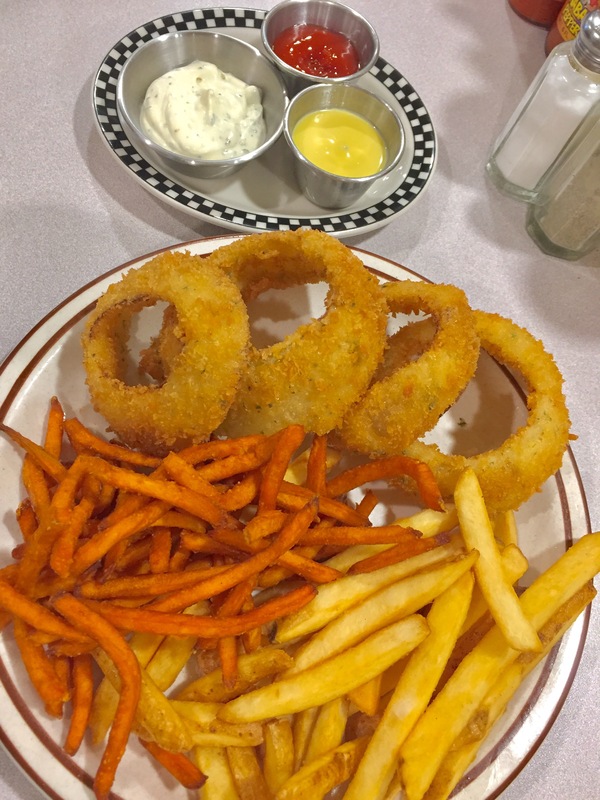 The reason we chose this location is that we had heard that this location was outfitted with an old school diner appearance and they weren’t wrong. The outside has a cute look all done up with neon lights. 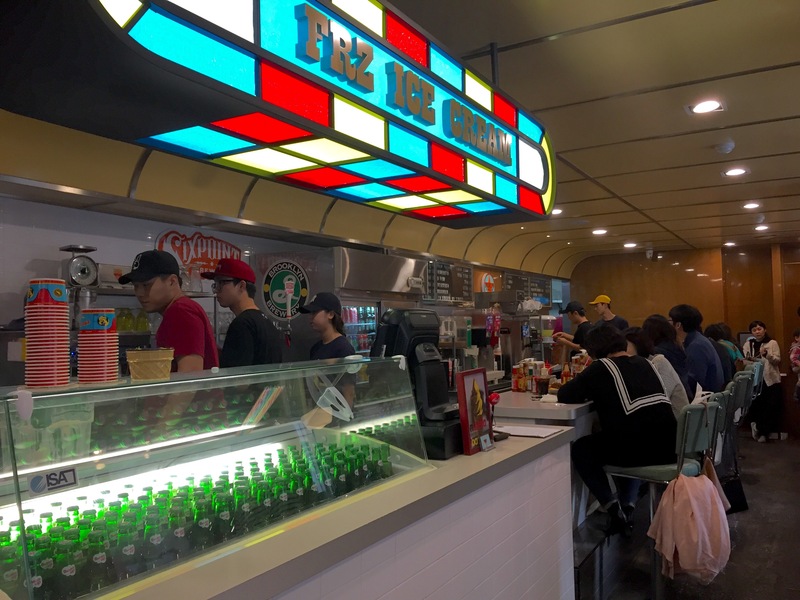 Inside they definitely have a throwback vibe going on and even good classic diner music interspersed with some modern hits. The location isn’t very big, I would liken it to the size of a small Waffle House, since they have bartop seating, 5 small tables and 2 large booths (for possibly 6 not very large people). We arrived at 1:35 PM on a Saturday and thought we would beat most of the lunch rush, well we were wrong. There were still 15 people on the wait list before us, it was nuts. One thing that we have found out is that Koreans do not have any issues with waiting in long lines for food. 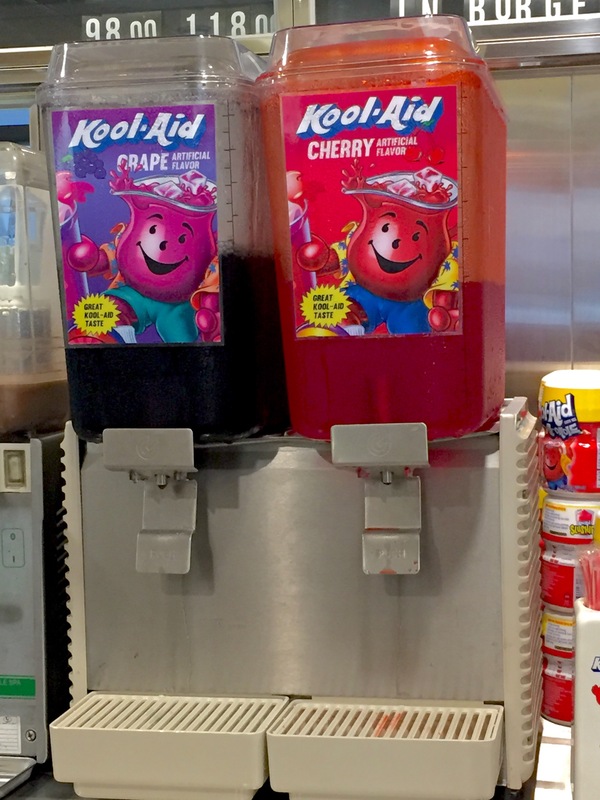 We’ve seen this phenomenon at a variety of restaurants where people will wait in line for hours on a weekend. It took us about 40 minutes to get a table, but I would say that they turned over the customers and tables pretty efficiently. When we left the restaurant, there were still people waiting, so I guess they stay consistently busy. The restaurant’s menu boasts a decent amount of choices. We ended up ordering the Trio – ₩14,000 (which was a combination of French Fries, Sweet Potato Fries, and Onion Rings), the Cream Burger – ₩11,800 and the Brooklyn Works – ₩11,800 (both were 7 oz. burger). Everything was delicious! And I was so happy that the fries and onion rings came out piping hot, this is a big win in my opinion; no one likes sad droopy fried foods. 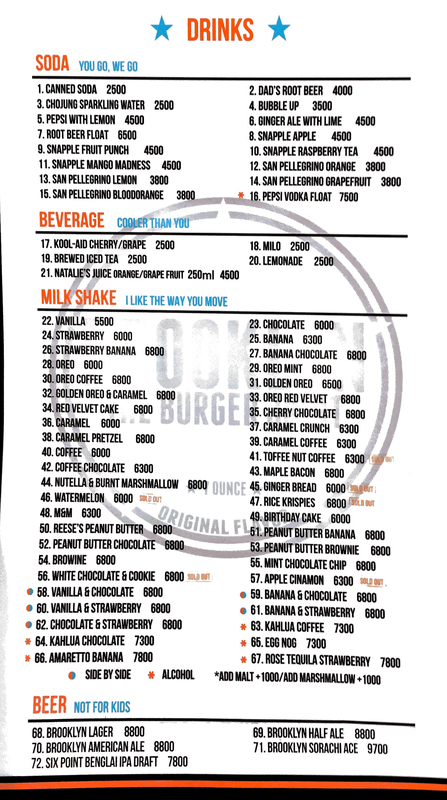 And then last but not least, we had ordered a Nutella & Burnt Marshmallow Milkshake – ₩6,800 that actually came topped with roasted marshmallows. We watched as the guy went in the corner and gently toasted the marshmallows with the flame torch, totally safe! On a side note, you can also do some people watching and see how Koreans eat burgers. The majority of them do all of their eating with a fork and knife. We found this quite interesting since many Koreans eat with their hands at Korean BBQ and other meals; so we really couldn’t understand the rationale not to use your hands for burgers. 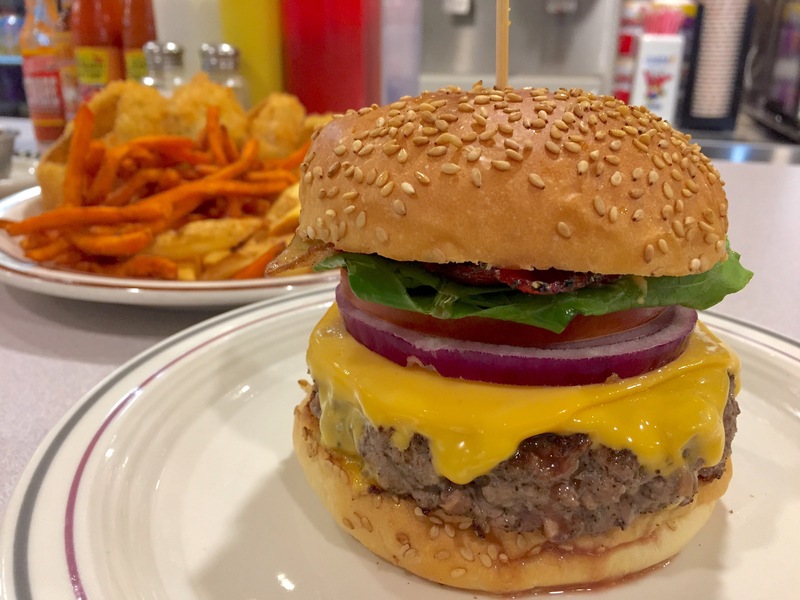 All in all, the meal definitely hit the spot and if you’re looking for a filling burger with the usual greasy goodness this will be your place. Pricing is reasonable for Korea, but if it tastes good, then I’m willing to a small premium for it. As mentioned earlier, they have a few different locations other than the Sinsa one that we went to above. They also have locations in Sorae, The Galleria Food Court, and COEX Mall to name a few.